Is becoming wealthy freelancing a realistic goal? Unfortunately, the answer to this question depends on how you define wealthy. Incomes for freelance writers vary widely. Some writers only make a couple thousand dollars per year, while others regularly pull in $30,000 to $40,000. There are also writers making $50,000 to $100,000, although most will tell you it took them quite some time to get to this point. If you're interested in becoming wealthy freelancing, there are a few basic tips you'll want to keep in mind. If you have an undergraduate degree in computer science, focus on writing tutorials teaching average people how to use new technology. If you were a teacher before leaving the workforce to stay home with your children, look for positions writing about education-related topics. If you put yourself through college working at various retail clothing stores and you're known for your fashion sense, focus on trying to find style-related writing assignments. Obviously, writing about subjects you are already familiar with will save you a great deal of time on research. However, becoming a subject expert is also helpful because you can often command a higher pay rate when you can show that you have extensive experience writing in a certain area. The highest-earning freelance writers tend to be the most efficient. Since writers generally don't get paid by the hour, a successful freelancer must be very organized and able to use his or her time effectively. Whether it's learning to type faster, creating a spreadsheet to better track your query letters to magazines, or using Google custom search to find information about article topics, always be on the lookout for ways to streamline your freelancing schedule. 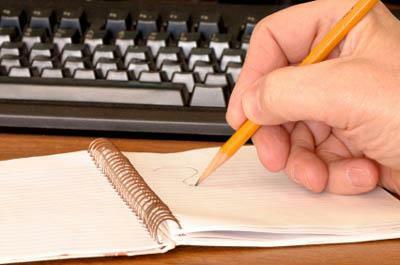 Businesses hire writers to prepare letters, memos, annual reports, and other important company documents. Software companies hire technical writers to prepare manuals explaining how to use their new products. Video game developers hire writers to create scripts for new titles. PR firms hire freelancers to prepare press releases. Graphic designers hire freelance writers when their clients want to have new text written as part of a project. Ghostwriters are hired to write books on behalf of celebrities or people who want to increase their visibility in a certain field. Freelance writing contacts typically involve a discussion of the rights you are granting to a particular piece. You will want to retain as many rights to your work as possible. Never sign a contract unless you're sure you understand what rights you are giving up.Why are rights important to a freelancer? If you sell an article to a magazine for $1,000 and your contract states that you are giving them First North American Serial Rights, you can later sell reprint rights to one or more other publications. This means you could easily double your initial earnings without doing any additional writing. If you sell the same article for $1,000 and give up all rights, you are not allowed to sell reprints at any time because you no longer have any legal entitlement to the article. The $1,000 is the only money you'll ever see from that particular article. If you write online, keeping control of your work may mean being able to publish it on your personal Web site. The income you earn from the advertising featured with your articles may only be a few hundred dollars per month, but this passive income can help provide you with a little extra financial security.